I was in need of a couple shorter pieces of Fastrack and two of the LHS's were out of stock and didn't know if any were on order. So I decided to try and make my own. Using a fine carbide tip blade on my chop saw and cutting from the back side of the track, I cut a chunk out of the middle of a 10 in straight. Then I glued the two good pieces together, filed off the burrs first. 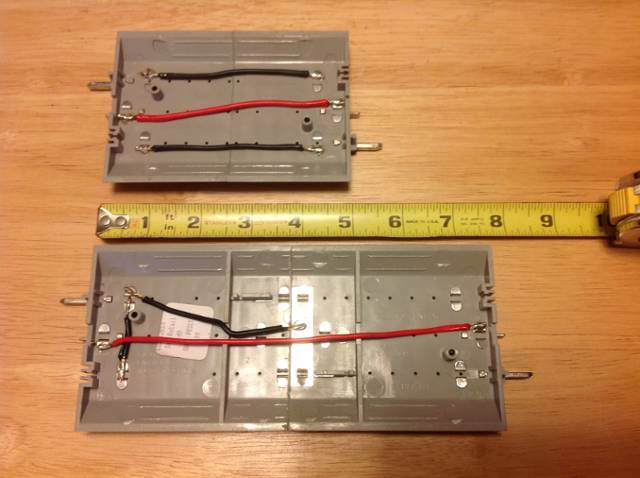 Then I soldered jumpers to the tabs on the bottom. I'm sure this in nothing new for some of you but I couldn't find any instructions in my search so thought I'd share this with you. Very nice Doug - a useful tutorial on a common problem. Save some money too! 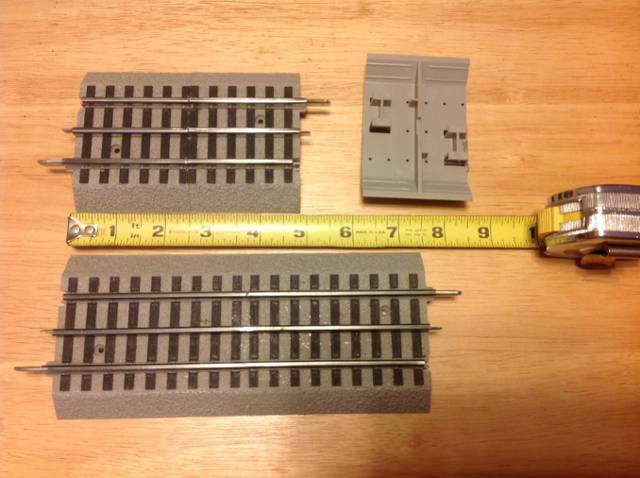 You can use standard O-gauge tubular track pins in the cuts to give the rails more integrity. I never thought of that, I'll keep that in mind next time.